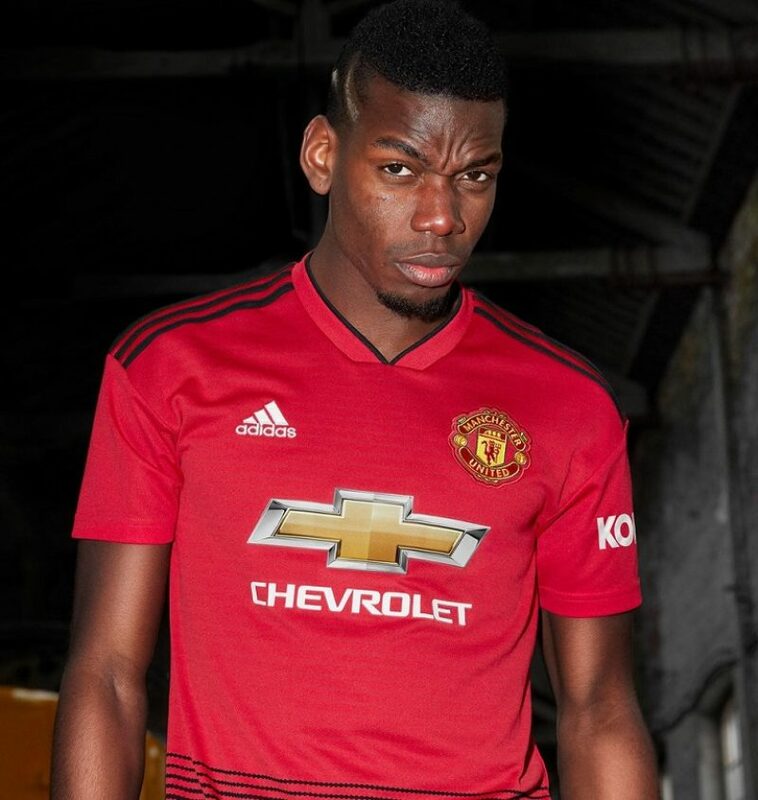 Manchester United have unveiled their new home kit for the 2018-19 season, which they plan to wear for the first time in their pre-season tour of the United States. United’s bold new shirt features black stripes along the midriff and on the shoulders in a commemoration of the founding of the club. Jose Mourinho’s side revealed the news in a statement on Tuesday, with Paul Pogba, Juan Mata, Nemanja Matić and Romelu Lukaku sporting the new strip. “The latest jersey marks 140 years since the club was founded, with a train track graphic referencing United’s original name; Newton Heath (Lancashire and Yorkshire Railway) Cricket and Football Club,” the statement by the Old Trafford Club read. “The team was originally formed in 1878 by the Carriage and Waggon department of the Lancashire and Yorkshire Railway depot at Newton Heath and initially played games against other departments and rail companies at their home ground at North Road, Manchester. Richard Arnold, Group Managing Director of Manchester United, added: “There are many great moments in this club’s fantastic history, and none more important than the year the club was founded, back in 1878. This shirt from adidas pays homage to the year we were founded, and marks 140 years of footballing success. The new jersey also features the club’s first shirt sleeve sponsorship after United signed a multi-million pound deal with US brand Kohler. Inspired by the Railway Men of Newton Heath.